Client puts on her new copper coral ring for Mars after we all chant. Client keeps saying, “It's beautiful!" 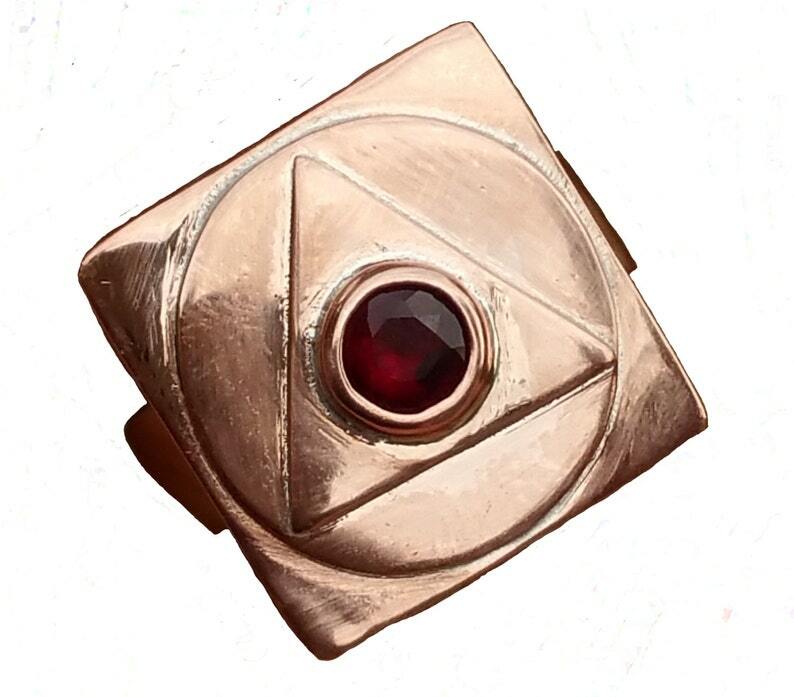 Now, while Mars and Sun are together in sidereal Aries, we are proud to introduce our newest design, a simple, pure, yantra copper ring made of thick plates of a triangle on a circle on a square with an inset ruby or coral. The ruby would be lab grown which is accepted in Ayurveda. The stone touches the finger per Jyotisha requisites. 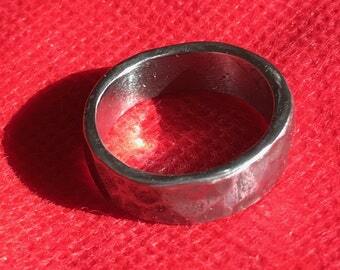 The metal edges are soft to the touch and the ring is comfortable to wear. Yours will be custom made, and you will be the first to wear it. As a wearer of this piece, I find that pitta is not so much increased like a jet rocket as it is purified and rarefied into high tejas. Very pleasant and enjoyable! The force is strong in this family! Perfect for the index or ring finger of the right hand. Be sure to specify your ring size for the band. 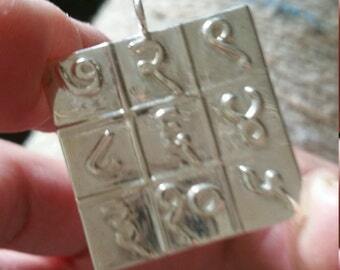 Renay was very helpful, understood the significance of the bangle.